With news that a national craft brewing organization chose Jacksonville for it’s next annual convention, we’ve compiled this list of five little known facts about the region’s burgeoning craft beer scene. “They beat out Tampa Brewing Company by a few days and Cigar City by a few weeks,” said Gerard Walen, author of Florida Breweries and Florida beer blogger. This means Intuition was also the first craft brewery in Florida to use the recycled plastic packaging that is becoming popular with craft brewers across the country. 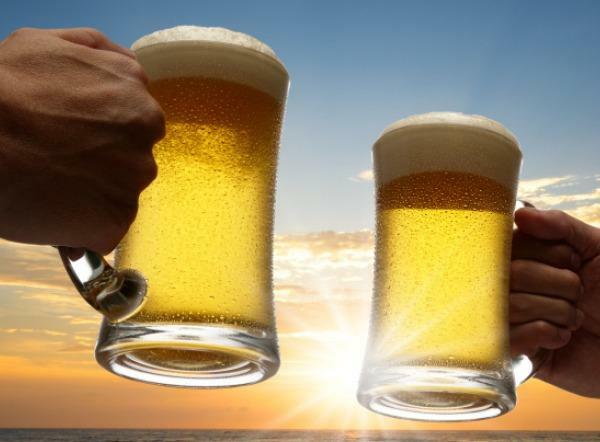 That’s according to an estimate from city tourism agency Visit Jacksonville, which is currently working with local breweries to launch a self-guided “Jax Ale Trail” tour to help promote craft beer in the city. Each barrel is equal to 31 gallons, which means Jacksonville’s craft breweries put out about 465,000 gallons of beer per year. That’s enough beer to fill an Olympic-size swimming pool and still have 5,000 gallons to spare. That’s right — Jacksonville’s Bold City Brewery will let you sample anything they have on tap totally on the house if it is your first time there. For the uninitiated, a flight is a selection of sample pours, usually between 3 and 5 ounces and presented in order of increasing flavor. Gerard Walen says the bold move comes from Bold City’s philosophy that the taproom should be both a sales generator and a marketing tool, and that it’s the only brewery in the state he knows of offering a free flight.